Please join us in congratulating Alan Galvez and his team at Alan Galvez Insurance as August's Logan County Chamber Business & Entrepreneur of the Month. Since 1988, the Alan Galvez Insurance Group has been providing individualized, personal service to customers with a wide range of insurance needs. 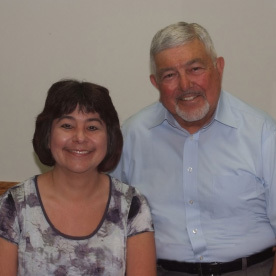 Alan started as a life insurance agent in 1971. After six years working in life insurance, he made the change to become a multi-lines agent at Sloan Insurance. He left Sloan in 1987 to purchase an existing agency, Ayres Insurance. He then renamed the agency to reflect its current name. There with him from the very beginning in all of his business ventures has been his wife, Maria, who currently serves a crucial role in the business as the receptionist, the first face clients see upon entering the office. In 1996, Carrie Reynolds joined the team as an agent, and in 2003, became co-owner of the business. The agency currently employs two other agents, Jana Harrigan and Trevor Beazley, and just recently they hired another agent, Debbie Smith. When asked why Logan County was the choice for his business, Alan stated that both he and Carrie were born and raised in the area, and that "it's a great community filled with some of the most giving, caring people you'll find. It's been good to us. It's home." The agency is independent, meaning that they represent multiple insurance companies. Because of this fact, they are able to offer new and existing clients a wide range of options that fit every need and budget. Galvez and his team offer a myriad of insurance choices, including: auto, home (including condominium and renter's), boat, camper, motorcycle, business, life, and health (including Medicare Supplement). They are, in many ways, a one stop shop for any insurance need. Since the agency is so diverse in the services they offer, it makes complete sense that they have diversified their communication methods in order to reach every client in this age of technology. They have a variety of communication methods, including: email, Facebook, text, the website, and even a mobile phone app. However, they still have a real person answering the phone and greeting any and all guests that might be walking through the door. In addition, they have very strict customer service expectations that all team members follow, which include a timely return of phone calls and emails, as well as following through with what they tell clients they are going to do. Because of this fact, the agency has been awarded various awards for their outstanding service including: The Pacesetter Award from Motorists Mutual, the Founders Award from Erie Insurance, and they have achieved Delegate status with Buckeye Insurance. Their objective as agents is to be able to explain complicated insurance terms in a language that anyone can understand easily. 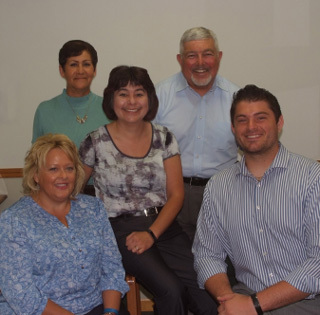 Their ultimate goal as a small, family owned business, is to "strive to treat clients like family. At the end of the day, the Golden Rule is very much alive here." The agency stands by their Golden Rule policy by being an active participant in various community events. They've hosted open houses and customer appreciation days to thank their clients for their support. In addition, they recently hosted a Flag Exchange/ Unserviceable Flag Ceremony where the community was invited to bring their unusable flags to the office in exchange for a new flag free of charge, and learn about the history of Flag Day. The ceremony concluded with a performance of "To the Colors", performed by the Logan County Honor Guard. The agency is also very passionate about supporting the local police department. They have participated in many law enforcement oriented projects, including donations to support the purchase of bullet proof vests, funds for a K9 officer, and a distracted driving simulator. The team also supports the local fire department through instructional materials that are implemented in local schools. Alan and his team joined the Chamber "to belong to an organization that fights for and supports small businesses". Through the Chamber, they are able to attend networking events to better familiarize themselves with other local businesses, as well as congratulate new businesses at ribbon cuttings. They also have the opportunity to attend educational programs, and gain access to a wide array of people they might not have met, which ultimately, helps to expand and improve on their business. 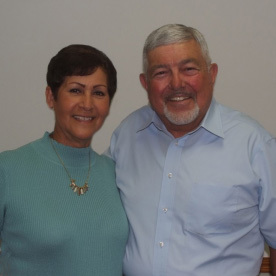 We thank Alan, Carrie, and the staff at Alan Galvez Insurance for their 28 years of Chamber Membership.